What once was primarily a contact database and activity record, is now a proactive platform delivering automation and event-driven sales processes that empower sellers to build relationships at scale. Relationship selling is less about CRM technology and more about data and artificial intelligence (AI), orchestration, and customer experience. Microsoft Dynamics CRM is one of the best, modern CRM systems available today. We’re not just biased because we’ve been working with Microsoft Business Solutions for decades, but because we actually love this product. Why? For starters, it blows away other customer relationship management software when it comes to functionality straight out-of-the-box, and when the time comes to make the software work a specific way for you, adjusting and tweaking it is a breeze. Seriously, a super user can do nearly anything you could need to custom your CRM to work the way you really work. With the plethora of information out there on Microsoft Dynamics CRM, we’re sure you already know the product highlights inside and out. In case you haven’t already scoured the internet gathering as much data as you could find, we’d be happy to rant and rave about all the cool things that Microsoft Dynamics CRM can do for your company. Dynamics 365 Business Central puts flexibility at the core of your business, enabling you to start quickly, grow at your own pace and adapt in real time. Easily tailor and extend the application to meet your unique business or industry-specific needs. Dynamics 365 Business Central, formerly NAV, has un-matched out-of-the-box functionality. Geared towards small to medium sized businesses, D365 Business Central is a great choice to get up and running fast and is flexible enough to grow with you. Dynamics 365 Customer Engagement + Finance & Operations, formerly Dynamics CRM & AX, is best suited for larger organization that require an extra layer of complexity in their ERP system. Ok, so you already have Microsoft Dynamics CRM, but since you’re reading this you probably have a gut feeling that you could be getting more from your system. You’re not alone. We have project after project of CRM re-implementations. Not because there is anything wrong with the software (remember, we love Dynamics CRM) but more often than not, it just wasn’t set up well in the first place. System design is truly an art form, and that’s why our system architects are in such high demand and sought after by some very notable organizations. We can help you figure out where your work flows are going wrong—and finally fix them for good. Need data from your accounting system? Website, or other productions system? Yup, we can integrate your CRM with whatever other systems your company uses. Like Data? We’ve got you covered there—PowerBI and Microsft Dynamics CRM fit together like a glove and we happen to have a BI expert who lives and breathes this stuff. If you’re using an older version of Dynamics CRM and want to bring everything up-to-date with the latest version (Dynamics 365 Customer Engagement), we can help make the transition as smooth as possible! This is the perfect time to take advantage of the great benefits to that the new Dynamics 365 Customer Engagement (Dynamics CRM) has to offer! 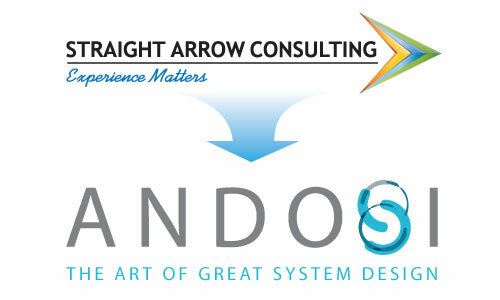 If you ever find yourself needing financial information while working in Dynamics 365 or CRM information while in your ERP system, Andosi can make it happen for you! Whether you are running an older version, on-premise, or are in the Cloud, we can integrate your CRM instance with most other Dynamics products (Dynamics GP, NAV, D365 Business Central, and D365 Unified Operations). We can even integrate your CRM system with your other proprietary systems (like an old production system, or your website).